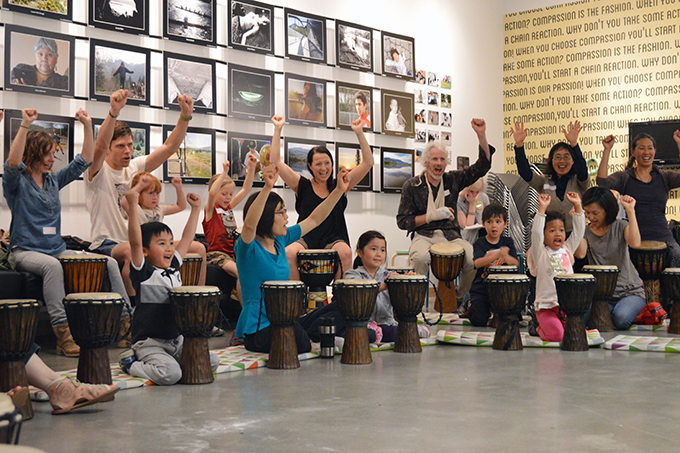 Last weekend, kids of all ages and their families gathered to make some noise—while also learning about drumming, culture and community. 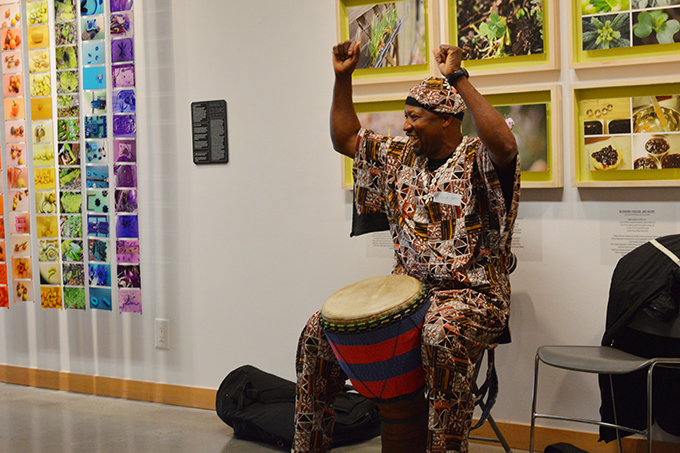 Professional drummer, performer and educator, Fana Soro and co-presenter, Kesseke Yeo, facilitated an engaging and inspiring West African drumming workshops at both the ArtStarts Gallery in Vancouver and at River Market in New Westminster. 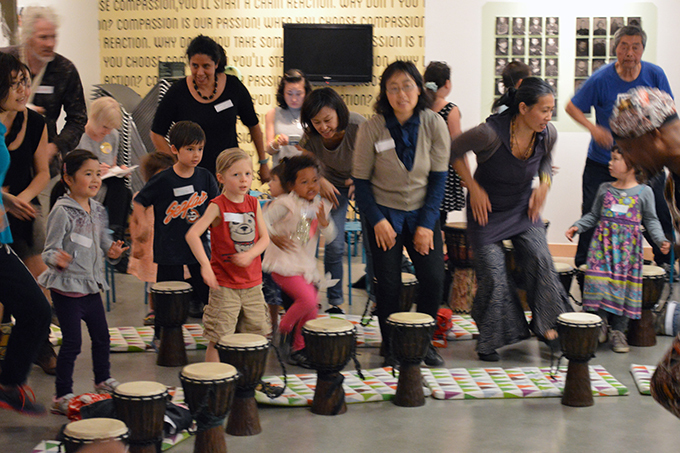 Djembe drums from of various sizes, all from Cote D'Ivoire, were available to participants. 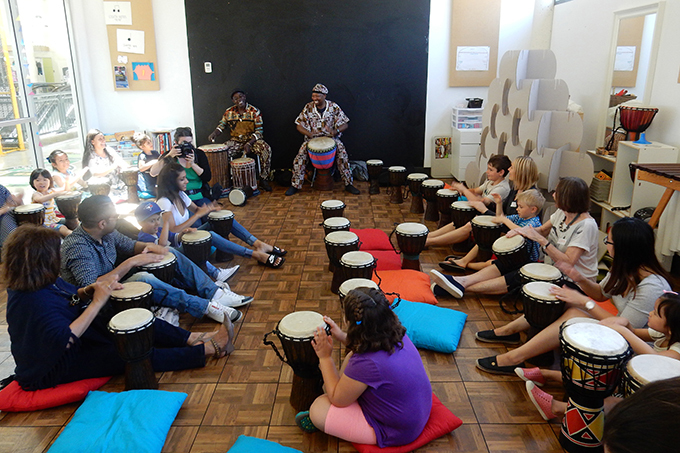 The word djembe means community, literally "everyone gather together in peace". 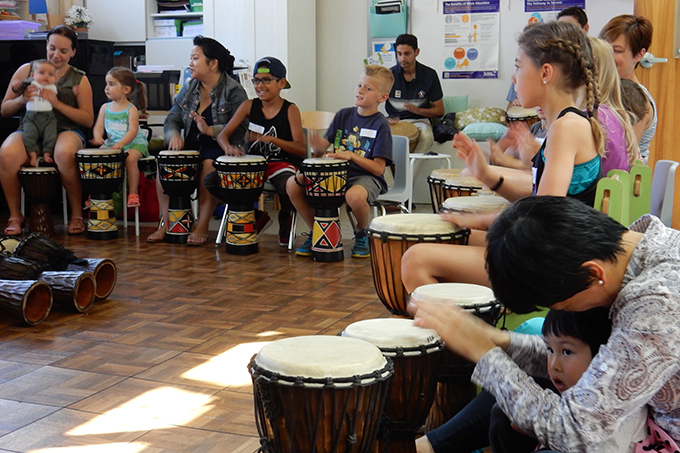 A full circle of energetic, attentive drummers listened to every word as Fana went on to demonstrate how music is teamwork. He put a wide smile on every young face, an essential element of this experience. Children, parents and grandparents drummed, sang, danced and played games to test our listening and cooperation skills, all while Fana encouraged everyone to "show your beautiful smile and see that human beings need to have fun!" 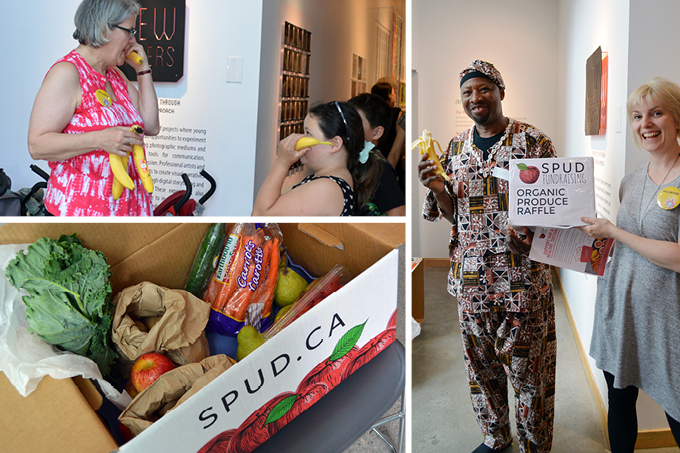 At our Saturday workshops at the ArtStarts Gallery in Vancouver, we were also happy to offer some delicious fruit to participants, thanks to our friends at SPUD. A lucky family at each session won a produce box to take home and enjoy! If your taste buds are watering right now, consider purchasing a box of local, organic produce from SPUD—with 25% donated to support ArtStarts! Here's how! Also check out these great photos of Sunday's event taken by the New Westminster Record! We look forward to seeing you at the end of July at upcoming workshops with digital media artist Carolyn Sullivan. In her Rainbow of Colours workshops, you'll be challenged to create a monochromatic design, using various objects of different shapes and textures. 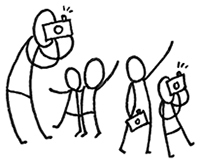 Everyone will bring home their own print and leave a copy to build a community rainbow. Join us at ArtStarts on Saturdays at the ArtStarts Gallery in Vancouver on Saturday, July 30 or at ArtStarts at River Market in New Westminster on Sunday, July 31. Learn more.